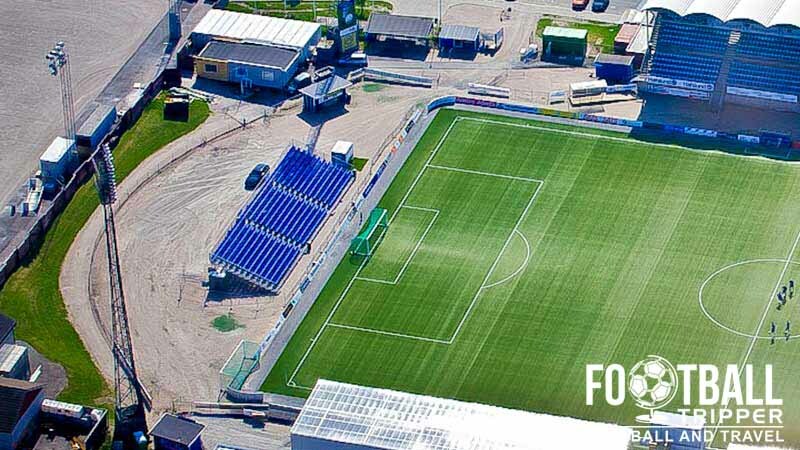 Sarpsborg Stadion is a multi-functional sports venue located in the fifth largest Urban area in Norway, Sarpsborg. 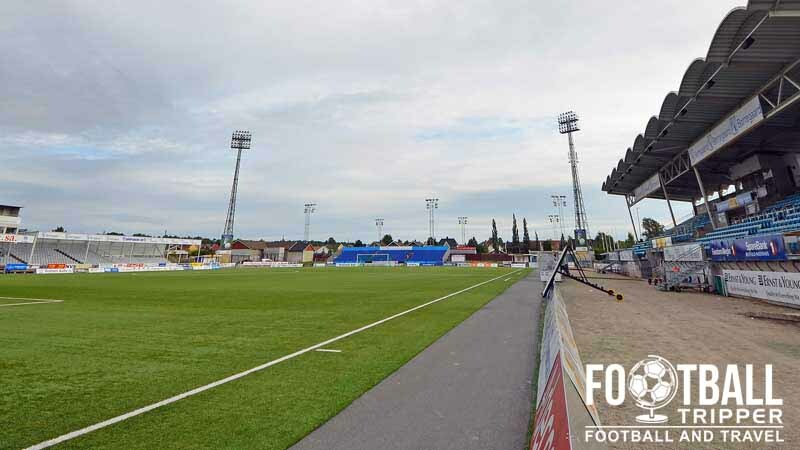 Although the 4,700 capacity stadium is regularly used by Tippeligaen team Sarpsborg 08 FF, it is also associated with Athletics events having previously hosted two events in 1954 and 1960. Sarpsborg Stadion is comprised of four stands: North, East, South and West. 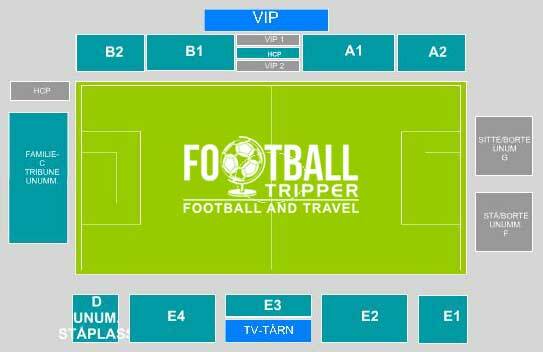 Away fans (Bortesupportere) are housed within sections G and F as per the above seating plan. Uncovered, the visiting supporters watch the game from behind the south-western goal end. Official merchandise of Sarpsborg 08 can be purchased online from the official webstore which is essentially the club shop. 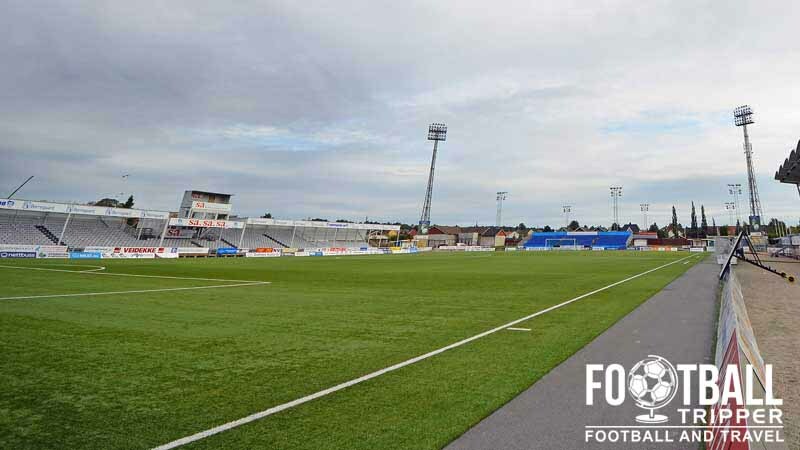 We’d be very surprised if any guided tours are available of Sarpsborg Stadion however we would be happy to be proven wrong. 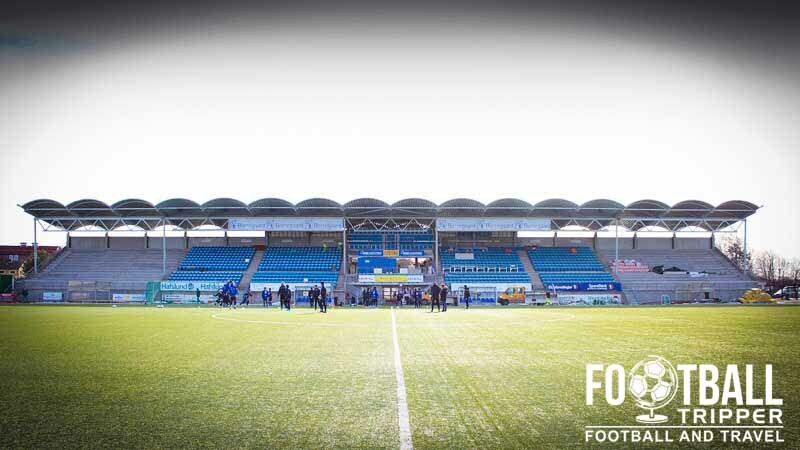 Tickets to see Sarpsborg 08 FF play at home can either be purchased online from the official website or at the stadium’s ticket booths which open 2 hours before kick-off on matchdays. Sarpsborg Stadion is located less than 1.5 miles from the small urban centre within the district of Enenda. There doesn’t appear to be any parking on-site at the ground which means you may have to park centrally and then walk to the stadium. Sarpborg Railway Station is centrally located within the Fritznerbakken area of the city. It has hourly services by Norwegian State Railways to Oslo and Halden amongst other stations en-route. There are numerous bus stops throughout the municipality of Sarpsborg however there isn’t one which directly serves the football ground. The closest is arguably “Grotterød fv. 109” south of the ground on Korsgata which is served by bus numbers 200 (Sarpsborg) and 2371 (Sarpsborg Bus Terminal). The closest major airport to Sarpsborg is Moss Airport which is located in Rygge some 30km north-west along the E6 motorway. Fairly close to Norway’s Capital city, Oslo, it is a hub for low cost airlines such as Ryan Air. There aren’t too many places to stay within Sarpsborg with the three main accommodation choices appearing to be Scandic Hotel, Hotel 1016 Olav Digre and Sarpsborg Vandrerhjem.